When we burn these fossil fuels, the carbon combines with oxygen to make carbon dioxide. This extra carbon dioxide (and other GHGs like methane) traps more and more heat in our atmosphere. students don’t need to learn skepticism as much as they need to learn when to trust. I dont believe some of this, blacks never had a voice during . That time if they were to speak up during that time they would often get punished. Blacks had no say in there freedom, slavery wasn't abolished to help slaves, Abraham Lincoln didn't do it out of the kindness out of his heart. https://hypothes.is/groups/q2jXEin4/f18-51-hybrid) Although some abolitionists were wealthy white men, most were ordinary people, including men and women of both races. White women and blacks were able to actively assist in the campaign to end slavery despite the fact that, with few exceptions, they were unable to vote. Similarly, the right to vote once belonged solely to white men until the Fifteenth Amendment gave the vote to African American men. Although some abolitionists were wealthy white men, most were ordinary people, including men and women of both races. White women and blacks were able to actively assist in the campaign to end slavery despite the fact that, with few exceptions, they were unable to vote. Similarly, the right to vote once belonged solely to white men until the Fifteenth Amendment gave the vote to African American men. Instead, I would encourage the social platforms to include prominent features for filtering and flagging. They should work with journalists and social psychologists to invent a new visual grammar so that when content is fact-checked, debunked, corrected, or verified, those processes are transparent and available to anyone seeking to understand more about the origins of a story. just this piece makes this a powerful little tool! Biohackers will soon be able to forgo these companies altogether with an all-in-one desktop genome printer: a device much like an inkjet printer that employs the letters AGTC — genetic base pairs — instead of the color model CMYK.A similar device already exists for institutional labs, called BioXp 3200, which sells for about $65,000. But at-home biohackers can start with DNA Playground from Amino Labs, an Easy Bake genetic oven that costs less than an iPad, or The Odin’s Crispr gene-editing kit for $159. The BioXP does not have the DNA synthesis functionality mentioned in the former paragraph as a workaround for buying fragments of DNA. Instead this system seems to assemble smaller synthesized sequences into larger ones. Neither the DNA playground nor the CRISPR gene editing kit allow the automated construction of DNA and also do not have the ability to synthesize DNA from a digital sequence. The habit is simple. When you feel strong emotion — happiness, anger, pride, vindication — and that emotion pushes you to share a “fact” with others, STOP. Above all, it’s these things that you must fact-check. Why? Because you’re already likely to check things you know are important to get right, and you’re predisposed to analyze things that put you an intellectual frame of mind. But things that make you angry or overjoyed, well… our record as humans are not good with these things. As an example, we might cite this tweet which recently crossed my Twitter feed: You don’t need to know that much of the background here to see the emotionally charged nature of this. President Trump had insulted Chuck Schumer, a Democratic Senator from New York, saying tears that Schumer shed during a statement about refugees were “fake tears”. This tweet reminds us that that Senator Schumer’s great grandmother died at the hands of the Nazis, which could explain Schumer’s emotional connection to the issue of refugees. Or does it? Do we actually know that Schumer’s great-grandmother died at the hands of the Nazis? And if we are not sure this is true, should we really be retweeting it? Example of importance of fact-check. How to spy lies based on a truthful story. Check for previous work: Look around to see if someone else has already fact-checked the claim or provided a synthesis of research. Go upstream to the source: Go “upstream” to the source of the claim. Most web content is not original. Get to the original source to understand the trustworthiness of the information. Read laterally: Read laterally. Once you get to the source of a claim, read what other people say about the source (publication, author, etc.). The truth is in the network. Circle back: If you get lost, or hit dead ends, or find yourself going down an increasingly confusing rabbit hole, back up and start over knowing what you know now. You’re likely to take a more informed path with different search terms and better decisions. designed to help students fact-check and trace the circulation of online information—helps to answer both of these questions. The latest figures by the Duke Reporters' Lab indicate there are 114 dedicated fact-checking teams in 47 countries. We have a factchecking toolkit currently being used by instructors across the country for just this purpose! One way of tackling the issue is by using First Draft’s platform called Check, a live, open-source site where organizations can add any disputed content, whether it’s a video, image or fake-news site, and the members will assign a verifiable status. Hypothes.is would make a great tool for this effort. We will continue to work with Tapper and NBCUniversal Owned Television Stations in 2017, which promises to be a busy year as the Republican president and Congress look to make major changes in U.S. policy on climate change, fracking, renewable energy and other issues that SciCheck has been following for over two years. Fact-based journalism now competes with false information for our attention while our cities and citizens become both more connected by technology and more divided by ideology and income. The values reflected in lines of code, whether it be at the ATM, when we search on internet or drive a car, are already affecting what we think, what we do and what information we share with those around us. Muhammad Ali (1942-2016) was the only professional boxer to win the heavyweight championship three times. With his outspoken political and religious views, he provided leadership and inspiration for African American men and women and Muslims around the world. In other words, Hillary Clinton herself has known for at least a year that her campaign and her entire party systematically incite violence at Trump rallies. This is hard evidence of direct collaboration between the DNC and the Hillary/Kaine campaign to terrorize every Trump or Pence event with paid, trained, and centrally organized agitators. Many of these agitators were homeless and/or mentally ill persons, as well as “rock ‘n’ roll” DNC union workers. Moreover, coordinating all these thugs involved daily calls to Robbie Mook and Hillary Clinton herself. This Bolshevik/Brownshirt “birddogging” campaign is way bigger than online “troll” tactics by the Correct The Record Super PAC. This campaign literally amounts to a paid, mobile army of about 500 agitators that can be anywhere in the USA as needed. Official records reveal Bob Creamer, the man exposed as being behind a tactic called “bird-dogging” in which homeless people, the elderly, and mentally ill individuals are paid to start violence at Trump rallies, has been to the White House many times since 2009. Included in the undercover video is evidence of dirty tricks including what is known as "birddogging", or infiltrating Trump campaign events in order to incite anarchy and violence. A new video by James O’Keefe reveals that Democrats have been using a tactic called “bird-dogging” to incite violence at rallies for Donald Trump. AGENTS working for Hillary Clinton’s presidential campaign paid professional agitators to incite violence at Donald Trump rallies, an explosive investigation has revealed. A new expression has emerged: "Bird-dogging. "Democrats have used trained provocateurs to instigate violence at Republican events nationwide throughout the 2016 election cycle, including at several Donald Trump rallies, using a tactic called “bird-dogging,” according to a new video investigation released Monday by James O’Keefe’s Project Veritas. Did Hilliarys Campaign Manager approve Violence?BIRD DOGGING SCANDAL? Bird Dogging in essence is an old Saul ALinsky tactic on steroids. Send two paid actors to your opponent's rally to fight each other. “Bird dogging” is a term used for what could best be classified as paid trolls used to incite and aggravate [violent] reactions from people attending political rallies. College coaches are receiving multi-million dollar salaries in this modern NCAA system. University of Texas Head Football Coach Mack Brown’s salary totals over $5 million. In comparison, scholarships for the entire Texas football team total just over $3 million. The three weeks of the NCAA Basketball Tournament, known as “March Madness,” generate over $770 million in TV rights deals alone. College football and basketball generate more than the National Basketball Association, a total of more than $6 billion yearly. Political office most often comes through compounding connections, where a more-than-middle-class family, influential college peers, work associates, and other social and religious communities all provide a network of resources that ensures the connected become the elected. FACT Statement of fact: describes some of the causes of the issue: connections, influence, communities, resources. What conditions lead towards likelihood of election? What factors are most important? FACT Statement identifying conditions of the problem and characteristics of congress members. How significantly have politician's salaries increased? When did the disparity become so glaring? The U.S. spends among the lowest on the poor per capita in the OECD, is the least effective at reducing poverty, and consequently, faces the largest poverty problem. FACT Statement of fact: describe conditions that allow the problem to persist. For the first time, more than half of the members of Congress are millionaires. Nearly 200 are multimillionaires. One hundred are worth more than $5 million; the top-10 deal in nine digits. FACT Statements describing current state of congress members incomes. Statement describing problem. The report found Afghanistan and Pakistan to be the countries with fewer girls in school: 71 girls for every 100 boys in the former and 82 girls for every 100 boys in the latter. 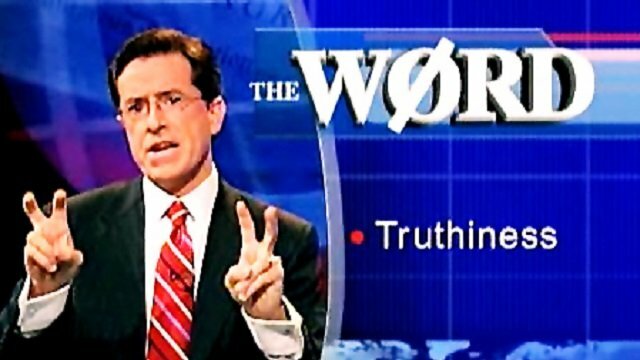 Stephen Colbert invented this term on the debut episode of his satirical political talk show, The Colbert Report. our economy is growing and creating jobs at the fastest pace since 1999. Politifact rated this claim "Mostly True. ", though those that disagree with Obama would likely argue that this single statistic does not tell the whole story of the nation's economy. Here's North Korea's official hydrogen bomb statement. It's a doozy. Given the tone, "that has spanned 5,000 glorious years" could also work. 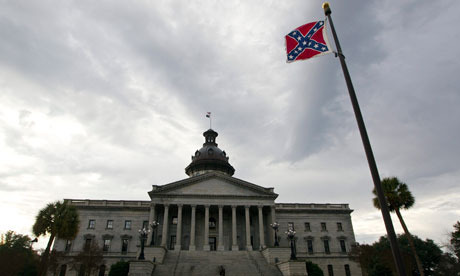 While true at the time, the flag was removed in June 2015 after a racially-motivated mass shooting that took place in the capital. In the process of desiring to Awaken, keep in mind what we have been discussing about Substance. In fact, keep in mind everything we have discussed because these Facts are substantial and are constituted of the Substance which is Light. Allow this Light to illumine your way, no matter how abstract this may seem to you. Keep more in touch with the Fourth-dimensional Actuality of your family experience, and of any activity which you are involved in during the day. If necessary, remind yourself of the Facts of which we have spoken. Measure your daily experience according to these Facts, rather than the way the day seems to be appearing or what it seems to be claiming. The simple fact is that you need to proceed as though the divine Facts were Facts—which They are. And, on the basis of these Facts, you must be alert with a sense of active expectancy to see Them become apparent in and as your conscious experience. Raj says to keep in mind what they have been talking about regarding Being, Substance, Law, Love, etc - behave as though they are True (which they are but 3dref doesn't see it that way). Measure your experience relative to these Facts rather than 3d ideas of success. If All is Infinite Mind, then All is Infinite Mind! One must live his experience of the infinitude of his Being as though that were the Fact. Not because that will help make it so, but because that is what is so! And such thinking is, therefore, in line with what is already true. Raj really clearly spells it out here.... Being IS my only identity..... it IS the ONLY identity I have. As I said yesterday, your Being is unfolding Itself infinitely in all Its perfection. This is the Fact which underlies everything that Is, as well as everything that seems to be. Do not get hung up on what seems to be the case. Your Being is capable of manifesting Itself as your conscious experience of being, and has never stopped doing so. It is this ongoing eternal, abiding Fact which needs to become an integral part of your conscious experience. Cultivate It and you will not be sorry. Our Being is evolving, unfolding eternally...fact! I want to remind you that your Being is constituted of infinite Love. That Love constitutes the Substance of your total experience. I want to remind you of that, because the apparently external demands which you have been faced with have caused you to withdraw your attention from your awareness of that fact. RAJ: Thank you, Paul. The reversal of any situation is accomplished by proclaiming the Fact at the point of being as Conscious Being. You must realize that doing this does not actually reverse a thing, since what appears to need reversing is not a “presence” at any level. It is, instead, the apparent absence of one’s awareness of his Omnipresent Being. Proclaiming the Fact from the standpoint of being as Conscious Being opens the apparently closed door to the Actuality. It is the method by which you practice or be what you are successfully. Raj first bringing up the idea of Practice. Here's my take on what he's saying. *Nothing actually needs to be reversed!." From the Place of Conscious Being the thing that needs to be reversed is not "a presence" - it's can't be found as something real. Instead, the thing that needs to be replaced arises as a result of not being conscious of your Omnipresent Being!!! So, what needs to be reversed is an illusion and does not exist. The illusion arises from a perspective absent of ones Reality as Christ. Every measured physical quantity is defined by its numerical value and its dimensions. We don’t quote c simply as 300,000, but as 300,000 kilometres per second, or 186,000 miles per second, or 0.984 feet per nanosecond. Need to confirm it was 5,000. The duty of the Arguments is to attempt conclusive proofs. we must be able to employ persuasion, just as strict reasoning can be employed, on opposite sides of a question, not in order that we may in practice employ it in both ways (for we must not make people believe what is wrong), but in order that we may see clearly what the facts are, and that, if another man argues unfairly, we on our part may be able to confute him. No other of the arts draws opposite conclusions: dialectic and rhetoric alone do this. In order to persuade one must address and understand all facts in a situation. Art of opposites.